by The New Yorker Magazine Author · Malcolm Gladwell Author of introduction, etc. Only The New Yorker could fetch such an unbelievable roster of talent on the subject of man's best friend. This copious collection, beautifully illustrated, features articles, fiction, humor, poems, cartoons, cover art, drafts, and drawings from the magazine's archives. The roster of contributors includes John Cheever, Susan Orlean, Roddy Doyle, Ian Frazier, Arthur Miller, John Updike, Roald Dahl, E. B. White, A. J. Liebling, Alexandra Fuller, Jerome Groopman, Jeffrey Toobin, T. Coraghessan Boyle, Ogden Nash, Donald Barthelme, Jonathan Lethem, Mark Strand, Anne Sexton, and Cathleen Schine. 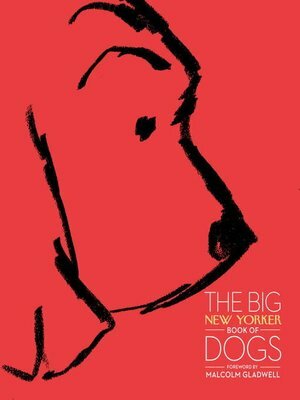 Complete with a Foreword by Malcolm Gladwell and a new essay by Adam Gopnik on the immortal canines of James Thurber, this gorgeous keepsake is a gift to dog lovers everywhere from the greatest magazine in the world. The New Yorker magazine began publishing in 1925.